A report shows what roles in IT are likely to disappear. Cloud engineer, DevOps engineer and information security will be some of the hot jobs. Jobs are expected to be created in areas like big data, data science, artificial intelligence, internet of things. 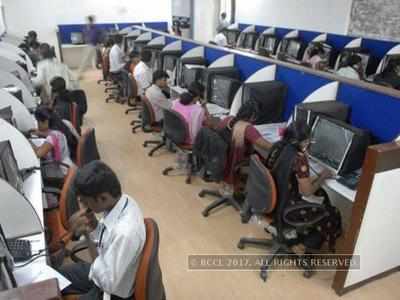 CHENNAI: Worried about being laid off? If you are in IT sector, these are the roles you need to move towards - cloud engineer, DevOps engineer, information security manager amongst others. A report by e-learning company Simplilearn shows what roles in IT are likely disappear and what roles are likely to see demand in the next 1-2 years, also the median salary or the salary point where mass hiring is expected to happen. IT job roles such as software test engineer (in manual testing), system engineer (in infrastructure management), customer service executive (in BPOs) and server maintenance (in system maintenance) are expected to massively decline. Jobs are expected to be created in areas like big data, data science, artificial intelligence, internet of things (IOT), cloud computing and cyber security. Roles such as data scientist (median salary Rs 8,47,000), big data architect (Rs 2,06,700) and big data engineer (Rs 13,61,000) will gain prominence in the big data and data science category. Around 58,000 jobs are expected to be created in this area in the next one year. Machine Learning engineer (median salary Rs 12,82,000), AI architect (Rs 13,400,00), IOT architect (Rs 13,44,000) will be in demand in field of Artificial Intelligence and Internet of Things (IOT) where over a lakh jobs are expected to crop up. Cloud engineer (median salary Rs 11,73,000), DevOps Engineer (Rs 12,95,000), Azure/AWS Consultant (9,27,000) and cloud/azure architect (Rs 13,40,000) are new positions that will be in demand in the field of cloud computing with over 160,000 jobs. In the field of cyber security, jobs like security auditor (Rs 9,81,000), information security manager (Rs 10,90,000) and cyber security architect (Rs 19,80,000) are likely to gain prominence with over 26,000 jobs being created. "The insecurity with IT jobs is a result of two problems - AI eliminating certain roles and techies having outdated skills. While AI will impact BPO, testing related roles, larger programming jobs will not become redundant. Companies are struggling to find talent in certain areas that we have highlighted. Techies must start moving towards these roles," said Kashyap Dalal, chief business officer at Simplilearn. Dalal adds that one cannot be ready all of a sudden. "It is a process. We can expect continuous hiring in these areas in the next 1-2 years so professionals must start working on developing these skills and working on relevant projects," he said.